With over 35 years of experience creating durable, low maintenance, and high performanance access structures, we can help envision the possibilities, understand your options and determine the lowest cost solution to your access issues. 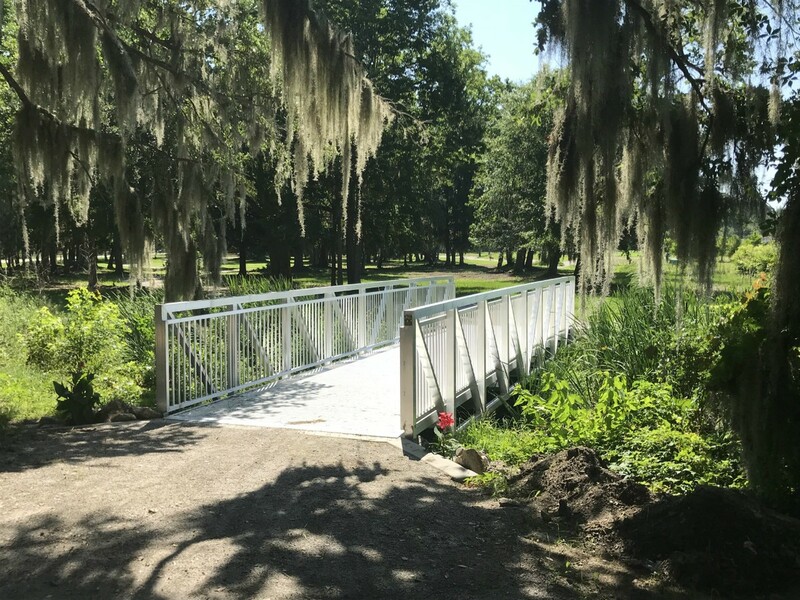 Liberty's Aluminum and Steel Truss Boardwalks, Bridges, Catwalks, Docks and Gangways have the cleanest lines, sharpest curves and smoothest surfaces available through the use of extrusion technology, AISC Certified Welders, and 25 years experience in the fabrication industry. 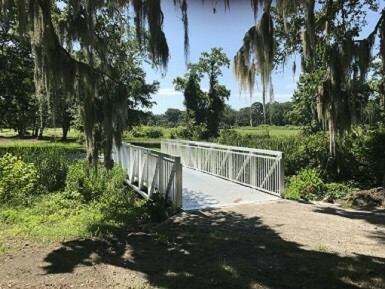 This technology allows us to offer railing options unique to the prefabricated boardwalk industry. From our simple Horizontal Rail to our intricate RM-861 Vertical Picket Railing and Plasma Cut Railing Systems, we offer you a wide variety of design options which will require little to no maintenance throughout the life of your catwalk. Our Catwalks are designed to meet OSHA Standards as well as AASHTO Guides Specifications for Pedestrian Bridges. RM-861 Rail System - The RM-861 railing systems is our best selling rail solution. This patented rail system combines the most stringent railing & guard requirements into one elegant package. 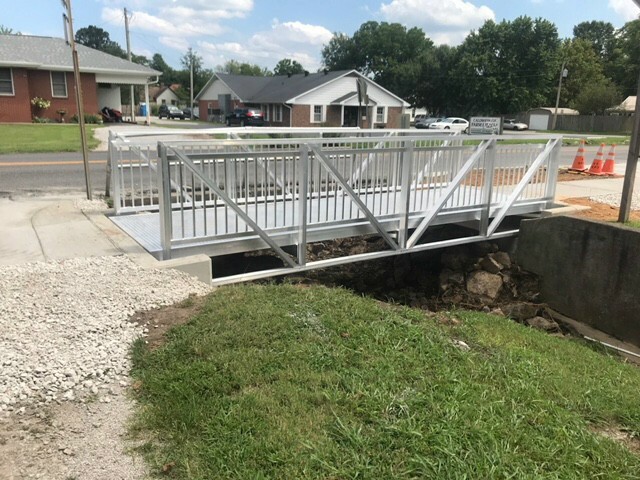 Available in 42" and 54" standard heights to meet AASHTO/IBC/ASCE guard rail criteria for pedestrian and bicycle traffic, the RM-861 meets all ADA toe rail requirements while incorporating a top handrail. Our experienced staff of engineers are available to help with your catwalk design requirements. Whether it be a salt, fresh water, or chemical environments, our engineers are willing to provide you our expertise along with preliminary drawings to help expedite your project. Please feel free to contact us for you project needs.